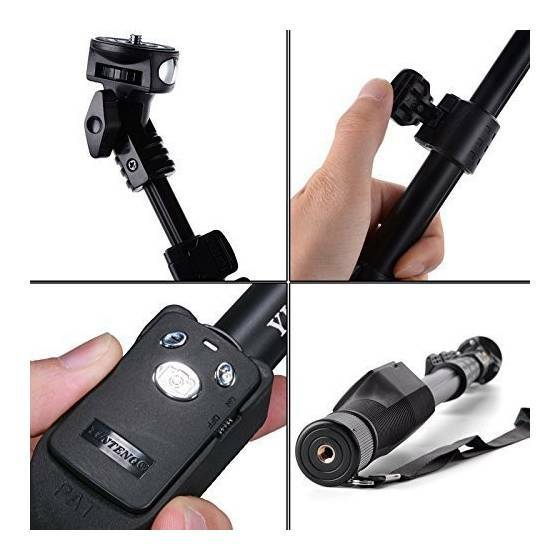 Adjustable head and thumb screw lock for multiple angle shooting with 360 degrees position. 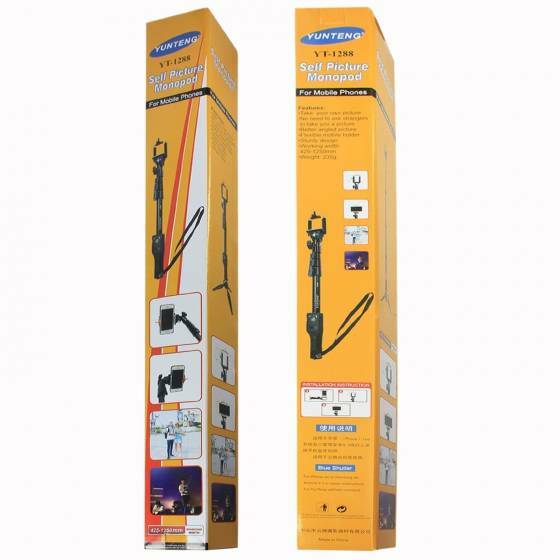 Rubbery handle and attached strap for a security of item in use. 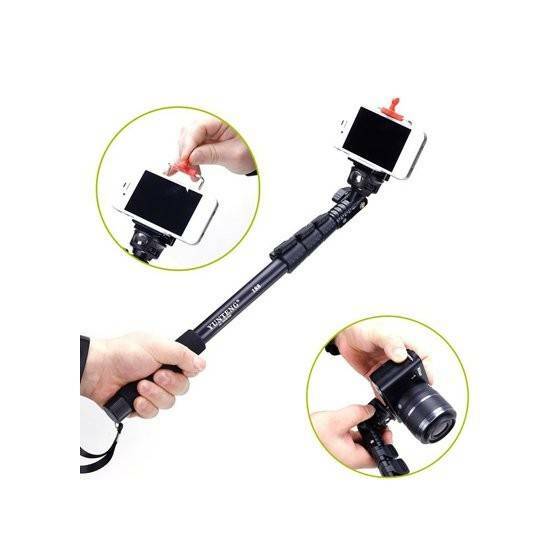 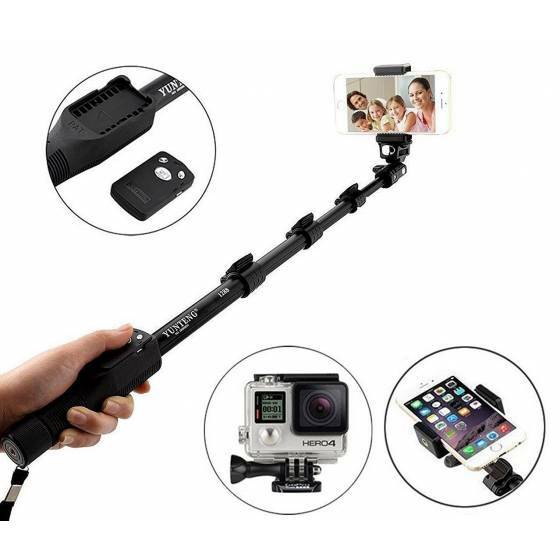 The standard adapter allows you to attach this monopod to any camera/camcorders. 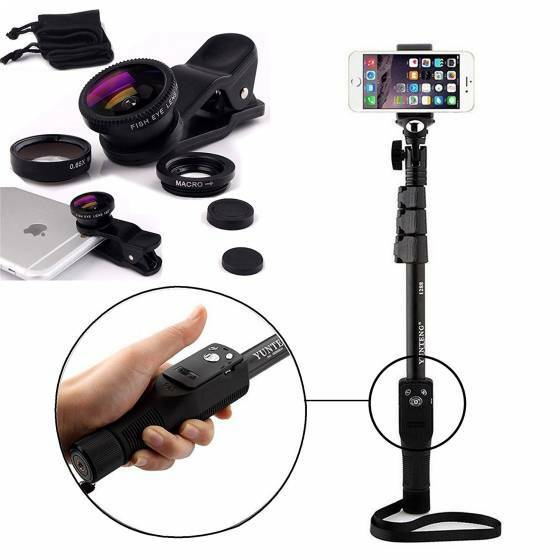 With the included cellphone clamp, you can attach it to any mobile phone up to 85mm width. 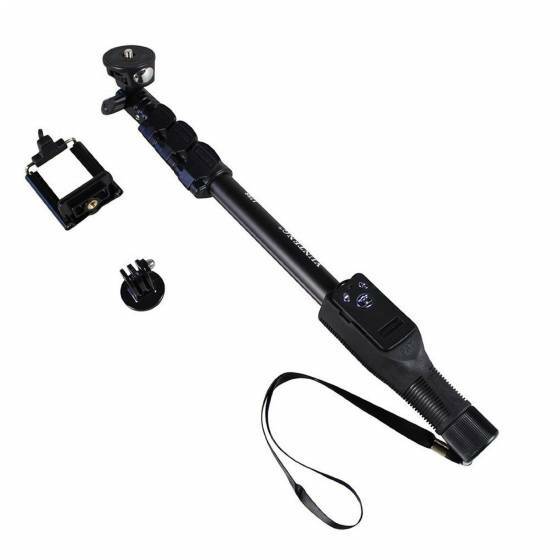 The reinforced aluminium tubes and four leg sections enable you to reach a length of 48.4 inches while maintaining shooting stability, the remote shutter is detachable for separate use at your need. 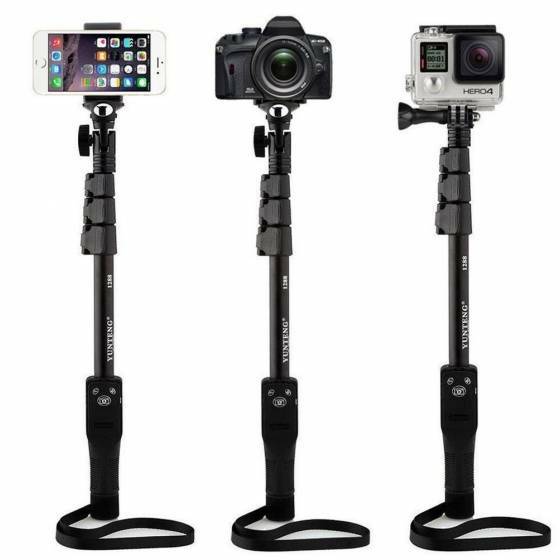 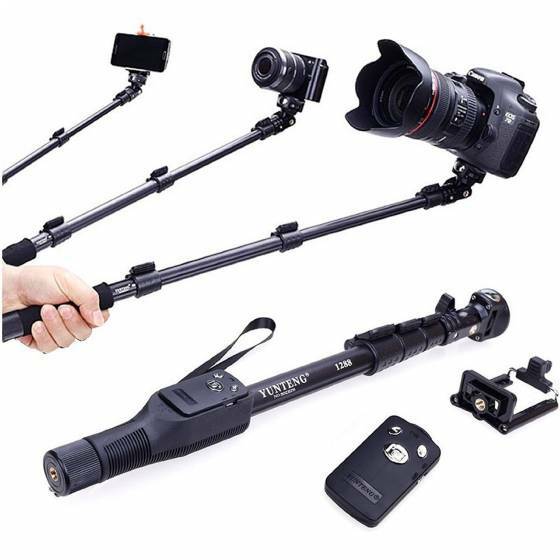 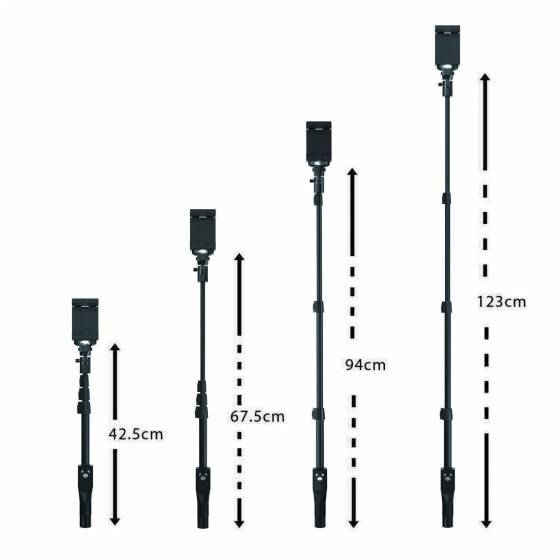 The monopod comes with a lock so that you can adjust it at any length you want (from 425mm to 1250mm). 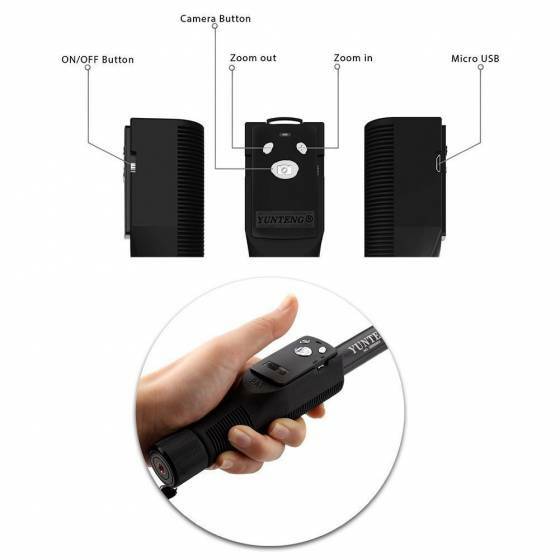 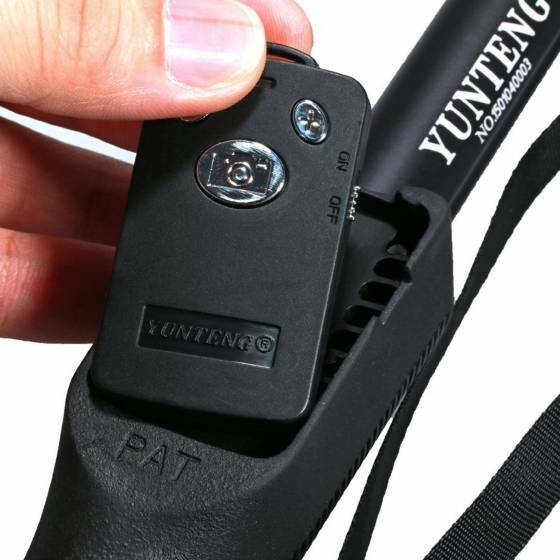 The Bluetooth Remote is for smartphone only, NOT for Gopro or Camera, It fits all the cellphones having width between 5.0cm to 8.0cm. 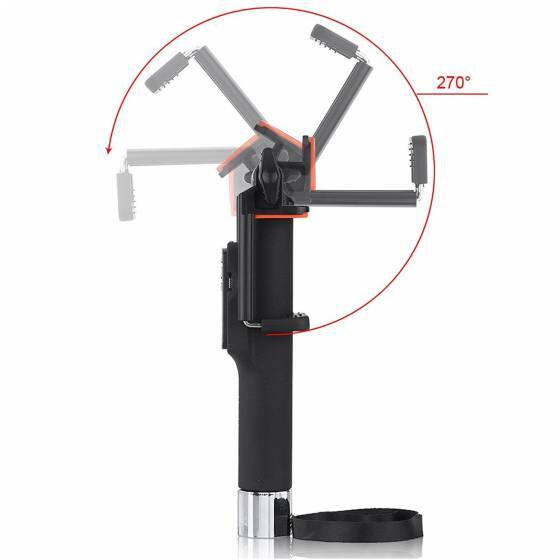 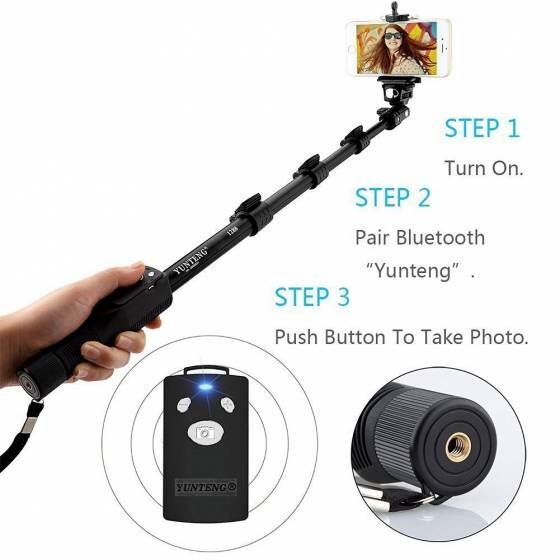 Yunteng 1288 selfie stick is defined by functionality and elegance, and comes with a detachable bluetooth clicker remote. 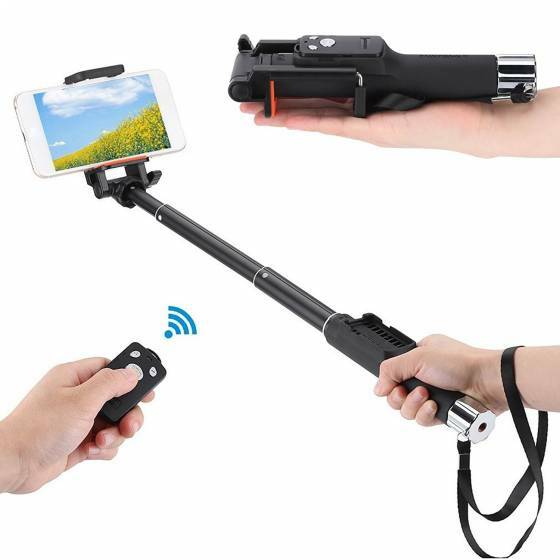 The standby time of the Selfie Stick make it practical enough for everyday use, and the sturdy build provides phone security in a variety of environments. 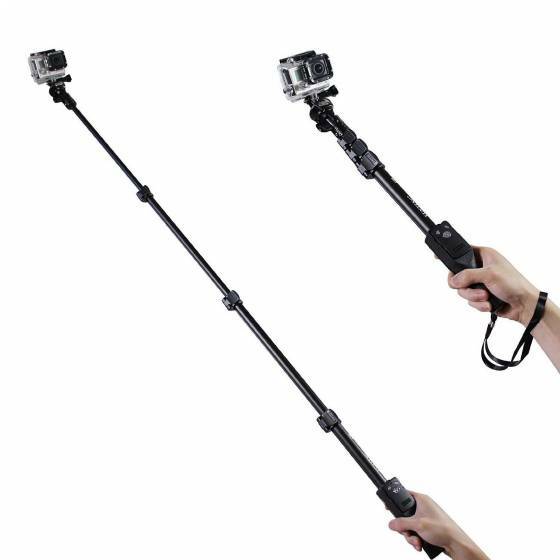 Our Selfie Stick allows multiple points of customization and adjustment. 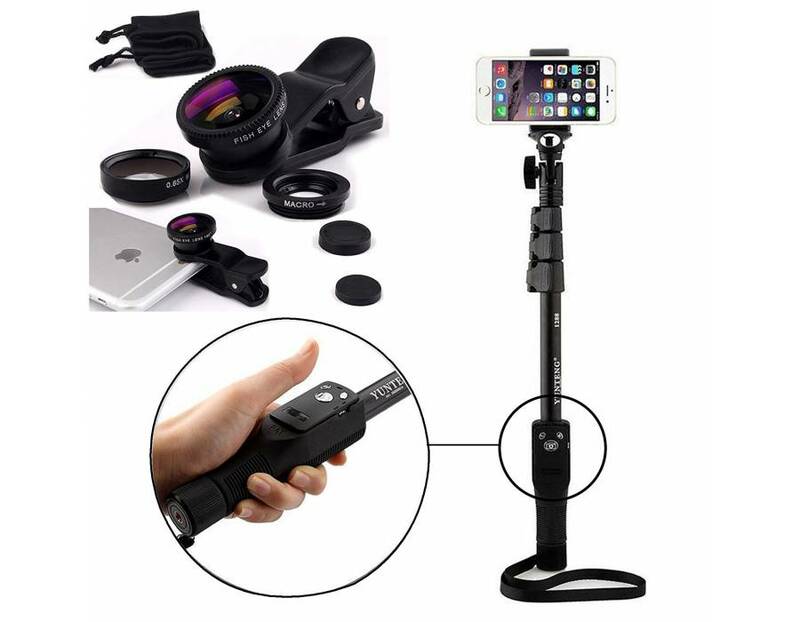 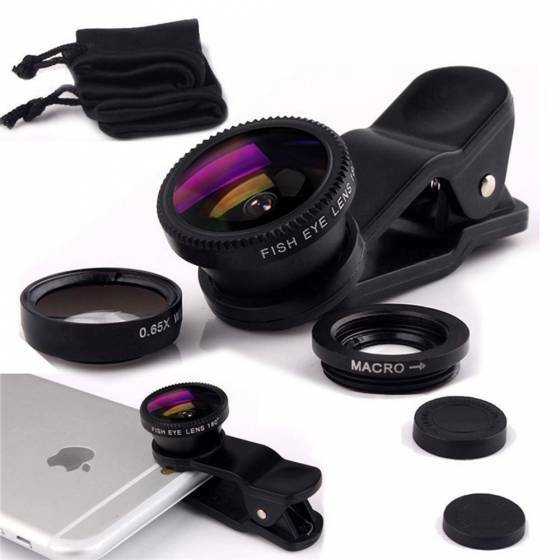 The holder will securely fashion to nearly all phones, and the combination of the easy-to-use handle button with the adjustable stick allows for easy, brilliant photography.